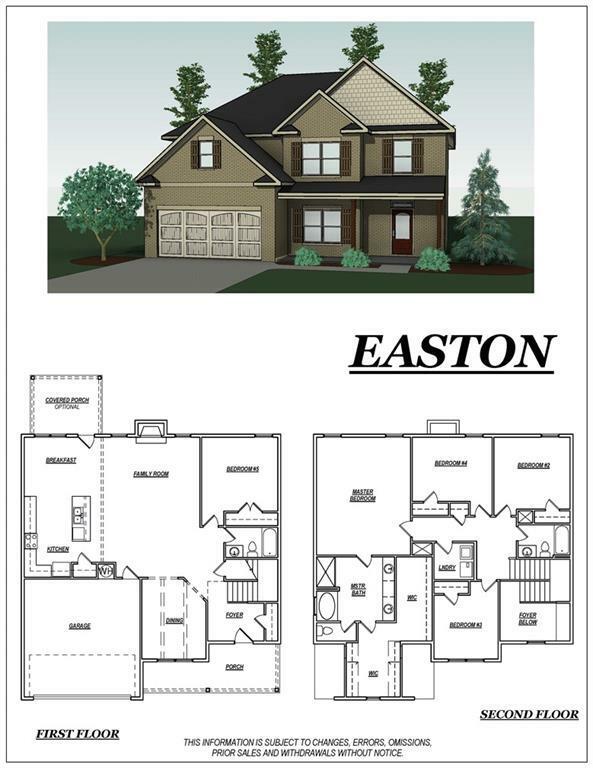 Easton floor plan features 5 bed, 3 bath with formal dining room, kitchen and secondary bedroom on main floor with 9' ceilings. Kitchen features granite counter tops and stainless steel appliances. Upper level showcases master bedroom with double trey ceiling, master bath with double vanity, tile shower and tile floors, garden tub and his/her huge closets. Secondary bedroom all have trey or vaulted ceilings. Get away from it all with the covered back porch and private wooded back yard. Ready to move-in 5-31-19. Listing provided courtesy of Sterling Real Estate Services, Llc..